Rogue One: A Star Wars Story will be in theaters on December 16, which isn't so far away. And also: it's nearly the holidays for goodness' sake. So! How about a giveaway for a Sergeant Jyn Erso Black Series figure? I'm running a sweepstakes for this cool figure over at Twitter and all the details on how to enter are below! To enter the giveaway, all you need to do is to retweet this tweet. Open to United States residents only. Giveaway runs from 3:00pm PT November 29, 2016 to 11:59pm PT on December 4, 2016. 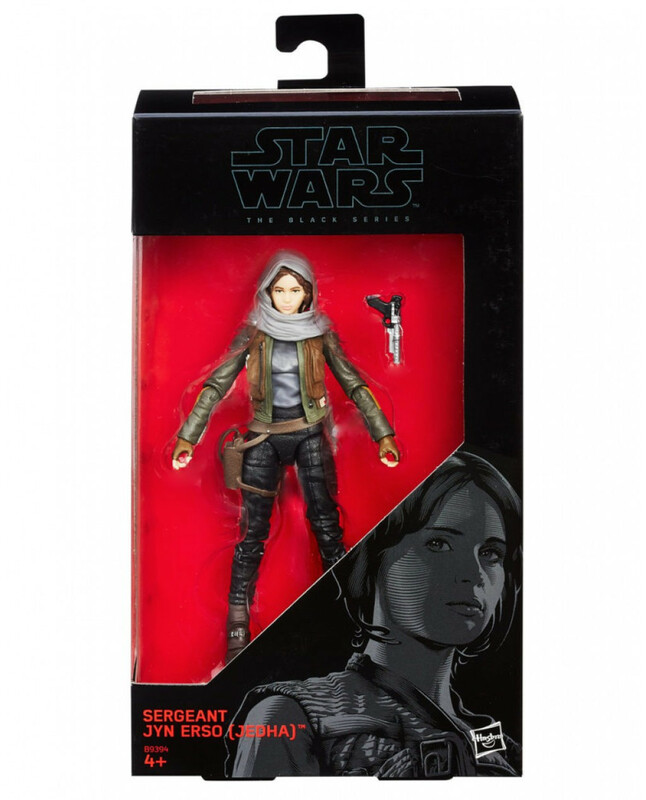 Winner will receive one (1) Hasbro Sergeant Jyn Erso (Jedha) Black Series figure, retail value $19.99. Winner be selected at random from entries. Winner will be notified via Twitter DM on December 5, 2016. Winner must provide an address in the United States for shipping by 11:59pm PT on December 7, 2016. Prize will be shipped via USPS by December 9, 2016.